The American Geophysical Union (AGU) holds an annual meeting attracting more than 25,000 attendees. The AGU conference is a catch-all for folks studying any bio- or geophysical facets of the natural world. 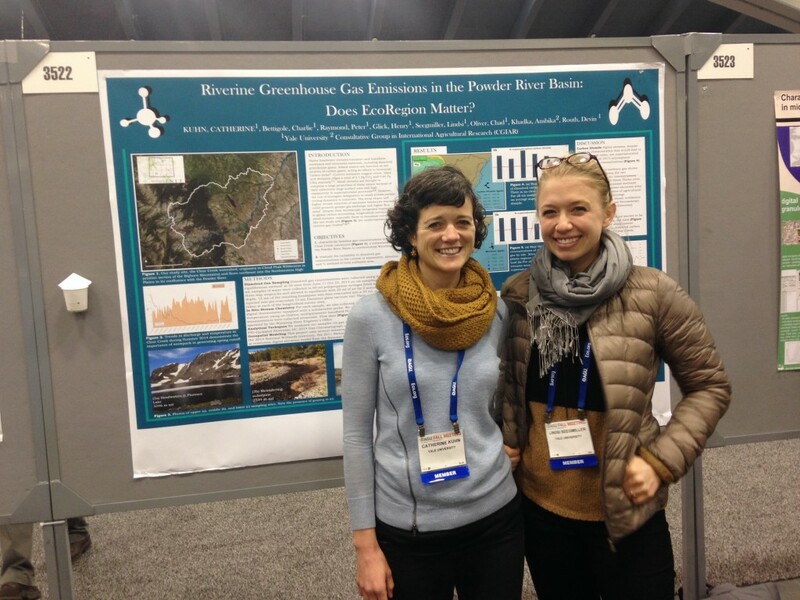 Two members of our team, Catherine and Lindsi, attended this year’s December meeting, with Catherine presenting her most current findings related to the monitoring of in-stream dissolved gases in the Clear Creek watershed. Catherine’s poster was a big hit and attracted a large number of interested attendees. Lindsi used the conference as an opportunity to connect with Google Earth Engine development staff in hopes of refining the very last of the details related to UHPSI’s 2014 GEE Research Award. The conference provided ample opportunity to connect with a diverse suite of researchers, many of whom might play a role in future UHPSI projects.